A fiduciary relationship denotes a relationship of trust. For example, a fiduciary relationship exists between people in a position of trust within a company, such as officers, agents, brokers, directors, and other personnel in a position of responsibility. When this implied or explicit trust is violated, it is considered a breach of fiduciary duty and may lead to a legal claim. 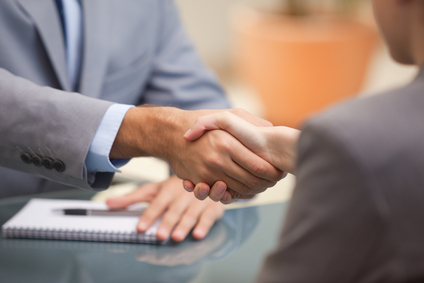 Our attorneys are skilled in handling fiduciary and commercial litigation. Certain members of a company, such as board members, trustees, and department heads are expected to act in the best interest of the company. If these individuals act in self-interest instead, they can face consequences for betraying the trust of the company and their position. A fiduciary must honor the duty of loyalty. The duty of loyalty requires their exclusive motivation to benefit the company that has placed trust in the individual, as opposed to their self-serving interests. This means officers, directors, board members, and the like, are barred from using a company’s assets for personal gain or from using corporate information or opportunities to benefit themselves. For example, a board member taking business from a company for their personal gain would be considered a breach. Another common example includes the trust placed in partners to act in the best interest of the partnership in daily activities and in winding up a partnership that is shutting down. If a partner fails to pay partnership bills or takes an unfair portion of profits or income, they may violate their fiduciary duty. Breach of this duty can lead to fiduciary litigation. In order to show a breach of fiduciary duty, it must be demonstrated that the individual in question was in a position that included an element of trust. It must also be demonstrated that the person acted in a way that violated that trust and harmed the company. If this can be established, the person may be responsible for damages and may also have to turn over personal profits made from usurping the company’s business or opportunity. The attorneys of The Law Office of Mynor E. Rodriguez have extensive experience representing lawyers and judges in defense of their license. If you are an attorney or member of the judiciary who has received a grievance, we can help. We do not represent individuals filing complaints against their attorney or the judge hearing their case. We only represent lawyers and the judiciary. If you believe that your business partner or the officers within your company have breached their fiduciary duty, the attorneys of The Law Office of Mynor E. Rodriguez P.C. can help. Contact us to help investigate the full extent of the harm and properly calculate, submit and pursue damages for the breach.